Now he can dress like daddy and grandpa in this authentic Mossy Oak Break Up country four piece baby outfit which includes snap close long sleeve diaper shirt, pull on pants, and little booties and cap. Made from cotton jersey we recommend laundering first to make soft for baby's skin. Quality made in the USA, each set is neatly folded and packed in a mini drawstring camo mesh bag. This Camo Chique private label charity listing comes with a little Psalm 23 thank you postcard tucked in the package. 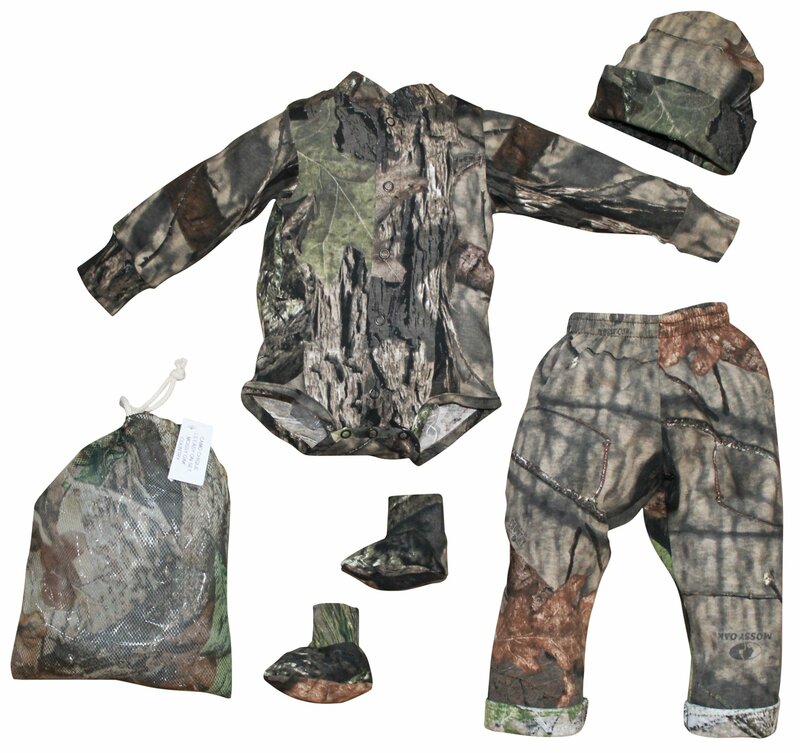 Mossy Oak Camo Baby Outfit Four Piece Set in the all new popular Break Up Country camouflage pattern. Machine wash cold, gentle detergent. Tumble dry low heat. Enjoy.